- Each Sharpener Made from Sustainable wood. 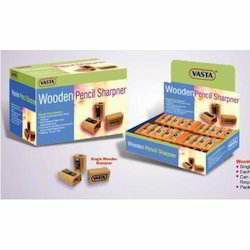 - Can even Personalize the sharpeners as per clients Requirement. The wonderfull and cute looking Pencil sharpners will make your pencils sharp and are great for gifting made of durable organic paint finish and solid wood construction, designed to stimulate the child's imagination, and supporting the physical and mental development. We are fruitfully catering to the assorted demands of the customers by providing Wooden Pencil Sharpener. Collects Pencils Shavings Presenting a mess.